One of the first countries you’ll think of when someone mentions metal is definitely Finland. There are aproximately 9 times more metal bands per 1 milion people there than in USA. Being the hotbed for metal of all sorts, it also has bands which play something that could be metal or definitely is metal, but it’s difficult to explain why. Meet Vuohi, a band that incorporates almost every form of metal into their music. 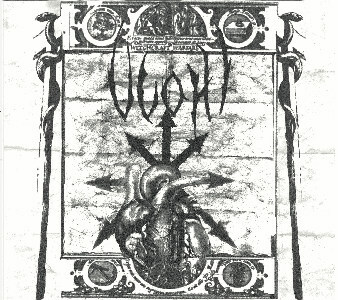 They started out as a grindcore band and throughout several demos and a split, they transformed into a boiling cauldron filled with different metal elements which is difficult to describe in a couple of words. There are gore dual vocals with some gloomy atmosphere mixed with the early German Thrash and Swedish melodeath layed over grinding percussion and scorching riffs and of course, spiced up with maybe a bit weird production trick, which shows every element as equal to every other one.